The New England Basketball Hall of Fame induction is a semi-annual gala that showcases the contributions of men and women who have either played, coached, administered, or written about the game of basketball in one of the six northeastern-most states. Greats of the women’s game, such as Cindy Blodgett, Joanne Palombo McCallie, and Rebecca Lobo, have been enshrined in past years. 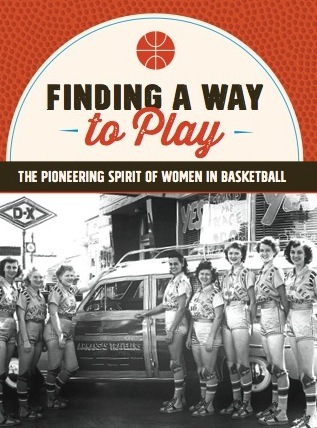 So, to say I was honored to be nominated simply for writing a book about the history of women’s basketball was an understatement. But when I found out one of my favorite people in senior women’s basketball, Celeste Chartier, was also being inducted, I was really pumped. That’s Celeste, second from the left, in the photo above, along with June Walton, far left, and Hilda Reedom, right, who also were inducted. I first met Celeste when I started playing senior women’s basketball back in 2002. She and her sister Michele were on our arch rivals, the Connecticut Sisters. 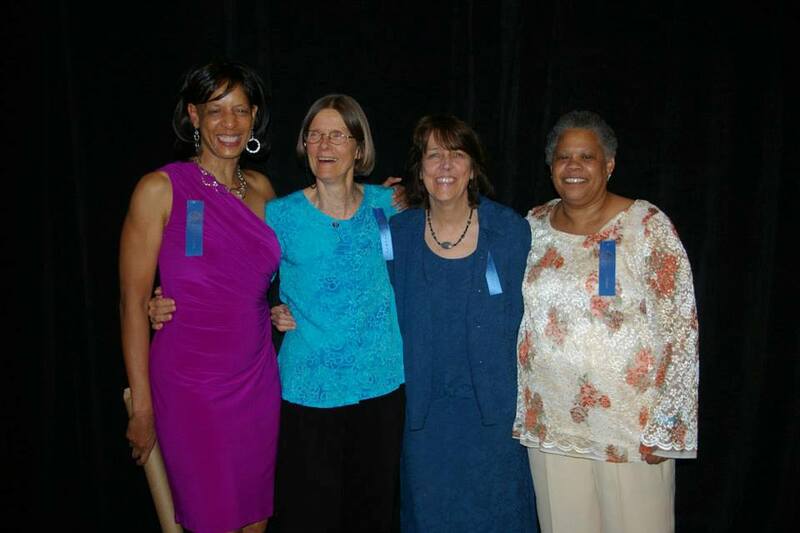 Celeste’s team was truly one of the New England pioneers of senior women’s 3-on-3 basketball. They’ve been perennial contenders in their age group — winning medals in at least two national tournaments between 2003 and 2011. They came in third in the 60+ age group in Houston two years ago. Tall, lean, with a pretty jump shot and the ability to finish at the rim, Celeste is a formidable opponent. It seemed that she and Michele must have learned the pick and roll from Moses Malone and John Stockton themselves. It was an accomplishment for the first couple of years simply to give them a good game. Needless to say, when we finally did beat them a few years into our rivalry, it was a cause for celebration. This article, written in the Hartford Courant back in 2008, provides background on her life in basketball — from her college days, when she started her own college team because the school didn’t have one — to her stint with the All American Red Heads. Celeste is a true pioneer in women’s basketball, the kind of person that deserves to be in this hall of fame. Even though her opportunities to play as a kid were limited and she had no WNBA to aspire to, she helped grow the game and inspired others to play.